I Want My Silver Fillings OUT! I’ve had silver fillings for years. Yes, they’ve served me well. But, at the time I got them it was our only option. These days, my grandchildren and great-grandchildren are all getting white fillings. I want those. My silver fillings have always conducted heat, which with my mouthful of metal can be uncomfortable. My dentist, who is close to my age, said he’s not that interested in removing something that’s been used for years yet still in good shape. I think he’s just ready to retire and not interested in learning new things. Is there anything I need to know to get these changed out? Can any dentist do it? You can definitely get those old amalgams (silver) fillings out! The key will be finding a dentist who can do it safely. It’s actually to your benefit that your old dentist refused. He likely didn’t know how to do a sanitary amalgam removal. That’s extremely important because the main ingredient in your silver fillings is actually mercury, a known toxin. Studies have shown that mercury vapors are released during the removal process, which you don’t want. Plus, you don’t want to risk accidentally swallowing bits of the filling, which is a health hazard. That’s why there is a special process to remove these old fillings to protect the patient. Looking for a mercury-free dentist will be your best bet. Most of them will be familiar with the sanitary removal process. Just do a quick check and ask them how they’ll protect you from the mercury and mercury vapors during the process. If they don’t have a specific protocol in place, including using a stopper dam, then look for a different dentist. After that, it’s easy to get your new white fillings placed. You’ll find not only will you not have the discomfort of conducting heat that often comes with metal fillings, but you’ll have less sensitivity to hot and cold food and drinks. Plus, the composite material bonds directly to your tooth which is a stronger bond. Your old fillings actually weakened your teeth. Should I Trust My Dentist if He’s Not Listed as a Lumineers Expert? 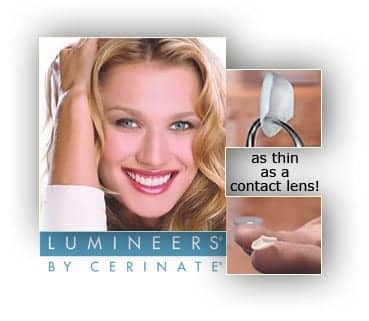 I want to get a Lumineers smile. My dentist can provide one for about $10,000. The price isn’t bad, but I noticed he isn’t listed as a Lumineers expert. Should I be concerned and try another dentist? One thing I can say about Lumineers is that they have a fantastic marketing campaign. I’d like you to be very careful here. Most expert dentist’s don’t recommend the brand. It’s generally marketed to inexperienced cosmetic dentists. And, guess how those dentists get listed on their website? They pay to get listed. It’s a marketing gimmick. The truth is Lumineers is just a brand of porcelain veneers. You can get other brands of ultra-thin veneers too. What you need is to find a great dentist. It’s not the brand that matters as much as the dentist and the lab they choose to work with. It takes an expert cosmetic dentist to get them to look decent. Many patients find they end up looking bulky when done as no-prep (their big marketing point). Dentists are required to use the DenMat Lab, which doesn’t have the best record of creating beautiful work. Remember…”Choose the dentist; not the brand.” Finding an expert cosmetic dentist doesn’t have to be hard. I’d simply look on the mynewsmile.com website. They list expert cosmetic dentists by zip code and area radius you’re willing to travel. Believe me, the dentists on their list have been carefully vetted. They have to demonstrate their technical knowledge, as well as skill and artistry on a good selection of recent cases they’ve done. Dr. Newkirk went through this process and is listed with them. A dentist cannot purchase their way onto the site. If what you want is a beautiful smile, you need a dentist who can provide one.